The Loop Florida Initiative is a joint venture of the Central Florida Speech and Hearing Center, the Hearing Loss Association of America, and local area civic leaders, business leaders and philanthropists. 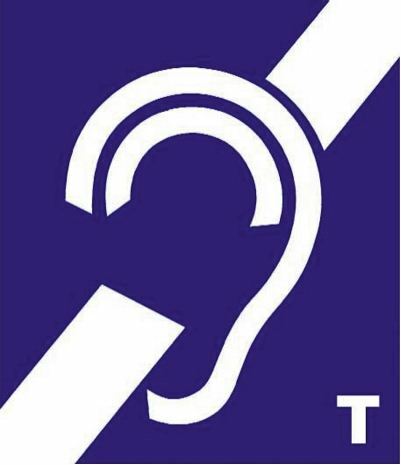 Our mission is to create equal access and improved communication for the hearing loss community. Looping turns hearing aids into direct receivers of a sound system by transmitting a signal from a microphone or sound system through an installed wire that encompasses the listening area. Looping enables individuals with a manual telecoil (t-coil) equipped hearing device to have sound signals transmitted wirelessly to their hearing aids, thereby improving their ability to hear by eliminating background noise and echo. What Does Looping Mean to the Hearing Impaired? Looping a facility shows a commitment to improve the lives of the hearing impaired. Whether it be a place of worship helping its members hear services clearly or a classroom where a student can finally hear the professor’s lesson, looping encourages the hearing impaired to engage in activities and be participants. No longer do they have to feel excluded or isolated. Looping makes your facility desirable for the hearing impaired to patronize. What are the features of Looping? Approximately 36 million American adults, or 1 out of 10, report some degree of hearing loss. In Polk County, there are about 96,000 people with hearing loss. Many of these people with hearing loss wear hearing devices, such as hearing aids and cochlear implants, to help them communicate, access services, and integrate into society. Hearing devices have the capability of bringing in sound from a Looping System, a setup that distributes sound in a manner that is only picked up by the hearing device. These Looping Systems allow the hearing impaired to hear without background noise, increased clarity, and across great distances. Large meeting areas, similar to those found in churches, community centers, conference centers, businesses and other venues, that are looped, allow those with a hearing loss to fully engage and participate in the activities. Smaller looped environments, such as a Pharmacy area, reception desk, teller station, or any other one-on-one setups, help those with a hearing loss to understand important instructions, conduct transactions, and effectively communicate and understand. The Hearing Loss Association, Lakeland Chapter, fully supports Looping and encourages businesses, places of worship, and other venues to consider installing these solutions to help the nearly 17% of Americans who have a reported hearing loss.